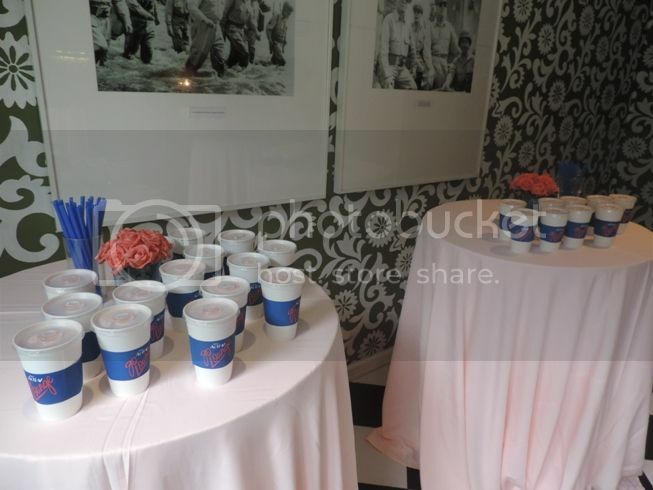 Parenting bloggers like me had a stress-free afternoon last Saturday, July 6, 2013, at the Nestle Acti-V Go Lounge event held at Romulo Café at Tomas Morato, Quezon City. We were treated to a series of relaxing activities, sumptuous food, and we also had a chance to see Ms. Cherrie Gil up close and personal. 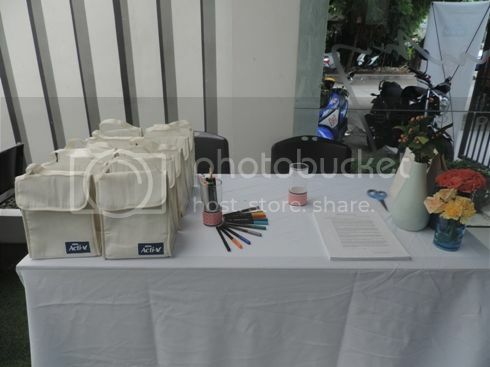 There was a DIY Corner that allowed us to design our own canvas chiller bag, which also served as our loot bag. I managed to draw a few things here and there, but the end product wasn’t half as good as the others’ masterpieces. I’m simply not skilled in this department. Lol! We were also asked to sign up for our choice of spa treatment at the registration booth. 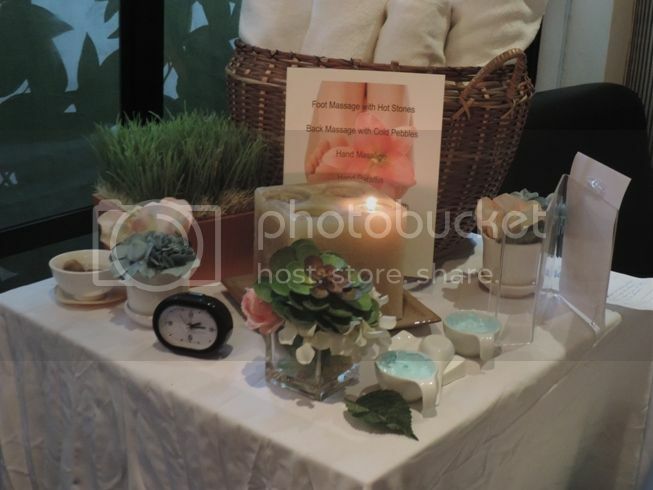 Our options included: Back Massage with Cold Pebbles, Foot Massage with Hot Stone, Hand Massage, Head and Scalp Massage with Aroma Oil and Hand Paraffin. I chose to have the highly recommended Back Massage with Cold Pebbles. It felt really great to have a massage that got the knots out of my back and relieved my tense muscles. 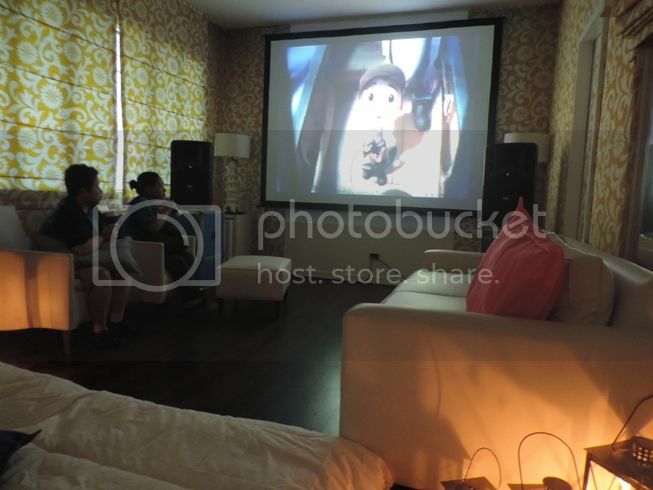 I was actually hoping I could get more than 15 minutes of their back massage, but that was the only time given to each of us who availed of this pampering treat. A movie date isn’t complete without something to eat and drink. 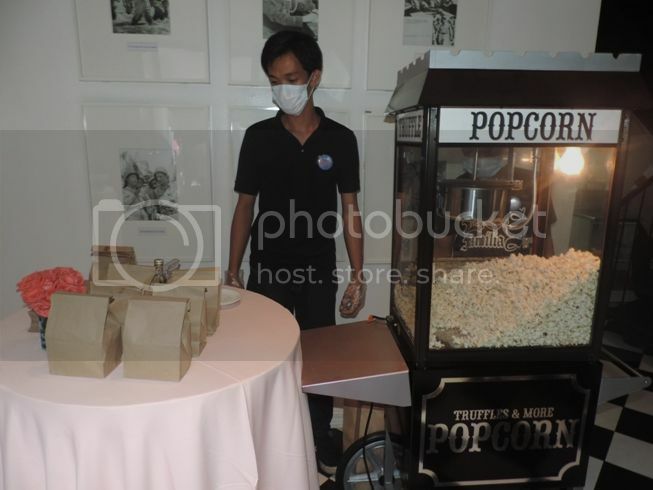 So we grabbed our truffle popcorn and yogurt smoothie before we went up to the second floor to watch a few feel-good short films. 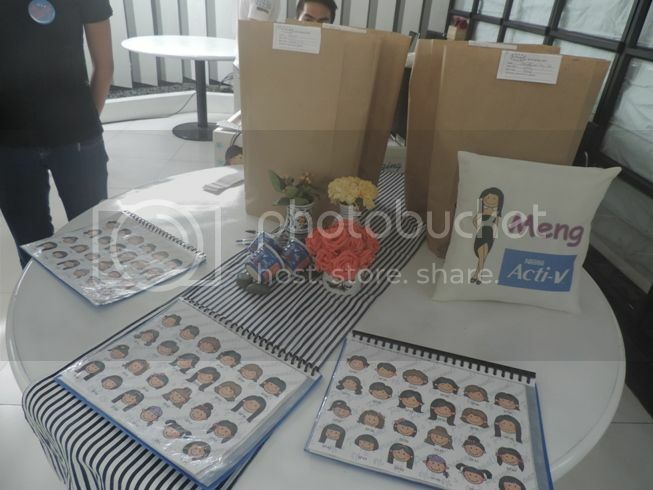 We also fell in line to have our personalized Nestle Acti-V pillow. We chose the name to put on our pillows, plus the head code and body code to go with that name. Unfortunately, our pillows weren’t done yet when we left, but they promised to send them over to Nuffnang and have them delivered to us. 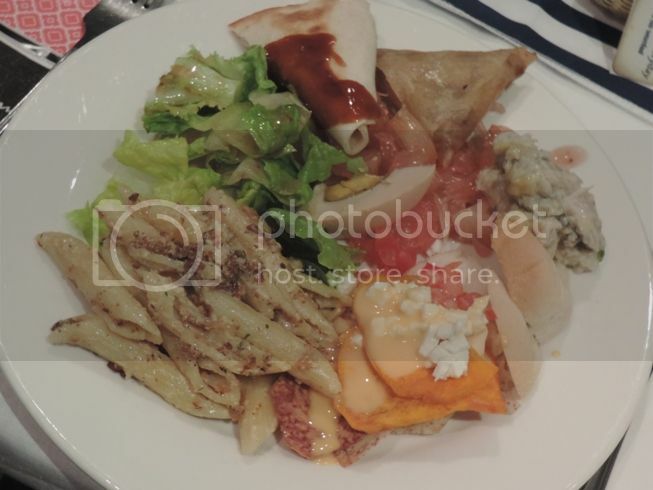 Guests were likewise treated to a hearty snack buffet consisting of Penne Carbonara with Vigan Longganisa, Cheese and Vigan Longganisa Dumplings, Sisig Wrap, Smoked Bangus Pate with Pandesal Chips, Pinoy Nachos and Pomelo Salad. Everything was delicious, but my personal favorites were the Cheese and Vigan Longganisa Dumplings and the Pinoy Chips. They were irresistible! 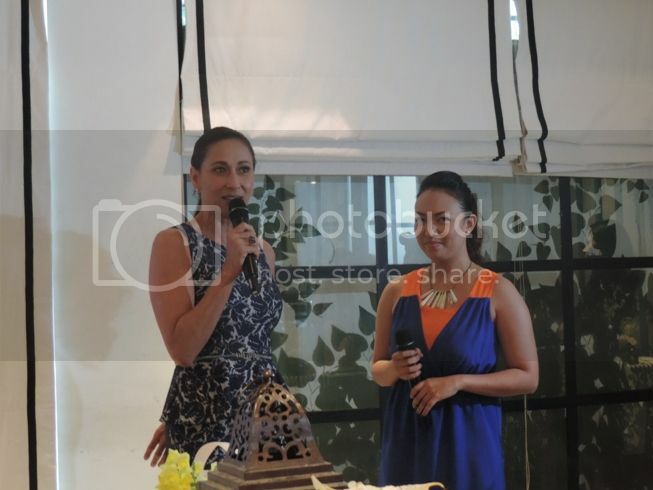 The most awaited part of the event finally came when Nestle Acti-V’s endorser Ms. Cherrie Gil was introduced. She was gorgeous, and I really couldn’t believe that she’s already 50 years old. When asked what her secrets to looking good are, she cited having an attitude of gratitude, exercise and healthy eating. She said Nestle Acti-V is part of her daily meals because aside from being healthy, it’s also delicious, and I totally agree with her. 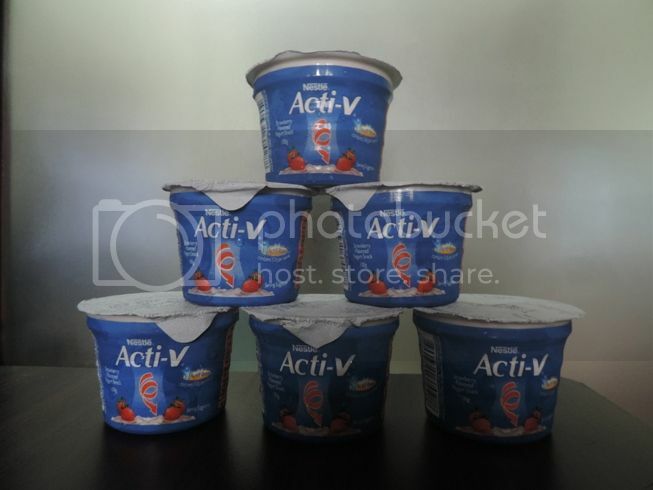 Nestle Acti-V is thick, creamy and naturally delicious with real strawberry pieces. 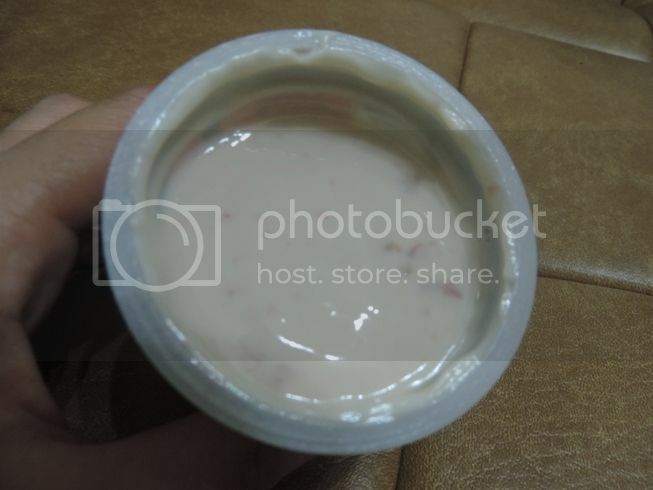 It is also the only yogurt that contains fiber. The active fibers in Nestle Acti-V called Actifibras are good for digestion and scientifically proven to regulate bowel movement. Each cup of Nestle Acti-V has 5 grams of fiber; that is the same amount of fiber found in one full bowl of salad greens! 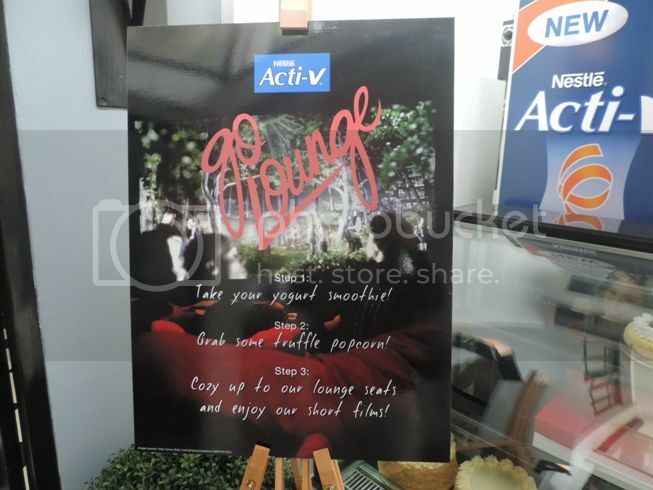 The Nestle Acti-V Go Lounge event made us forget our worries for a few hours as we engaged in relaxing activities, had great food, and got inspired by Ms. Cherrie Gil who showed everyone that aging with grace and beauty is possible. 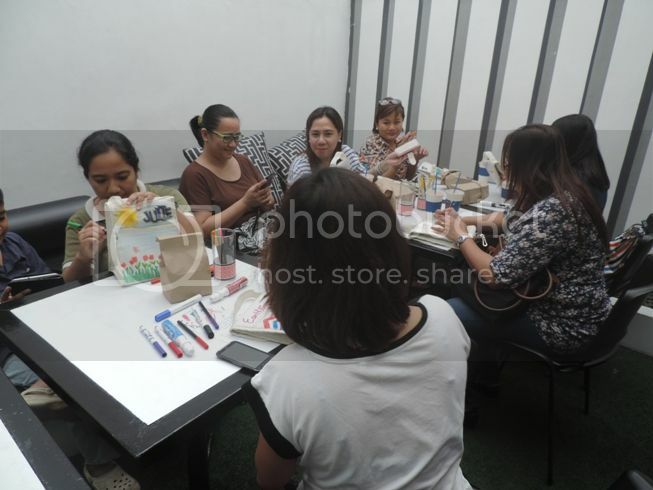 This entry was posted in Acti-V, Cherrie Gil, DIY Corner, Movie Viewing, Nestle Philippines, Personalize Your Pillow, Romulo Cafe, Spa Treatment. Bookmark the permalink. Wow. I ssssooo need pampering! On a second thought I also need to get fit and bring back my flat tummy and get rid of the mommy belly. I love eating Acti-V. It’s yummy and fills me up in an instant. What a wonderful event. I would’ve loved to have been part of it :).